The MOBI 3G aluminum stretcher is easy to operate, and can be adjusted to multiple heights. The bed has a 2 1/2’’ foam cushion mattress. The stretcher back is adjustable to make the patient more comfortable when being transported. 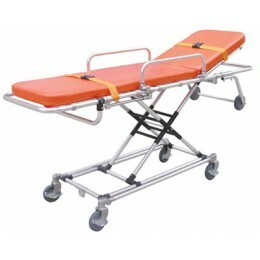 The stretcher is equipped with security wheel locks that can be used to secure the stretcher when stationary. 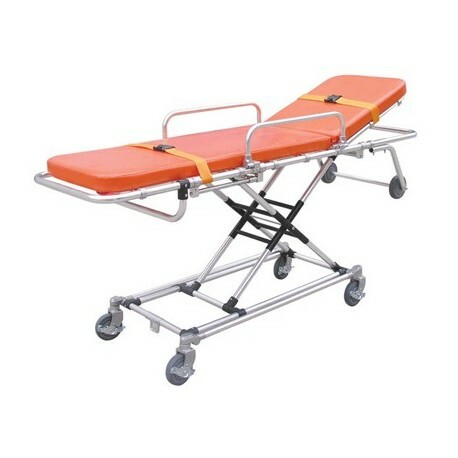 The height of this ambulance stretcher is adjustable by pressing the height handles. 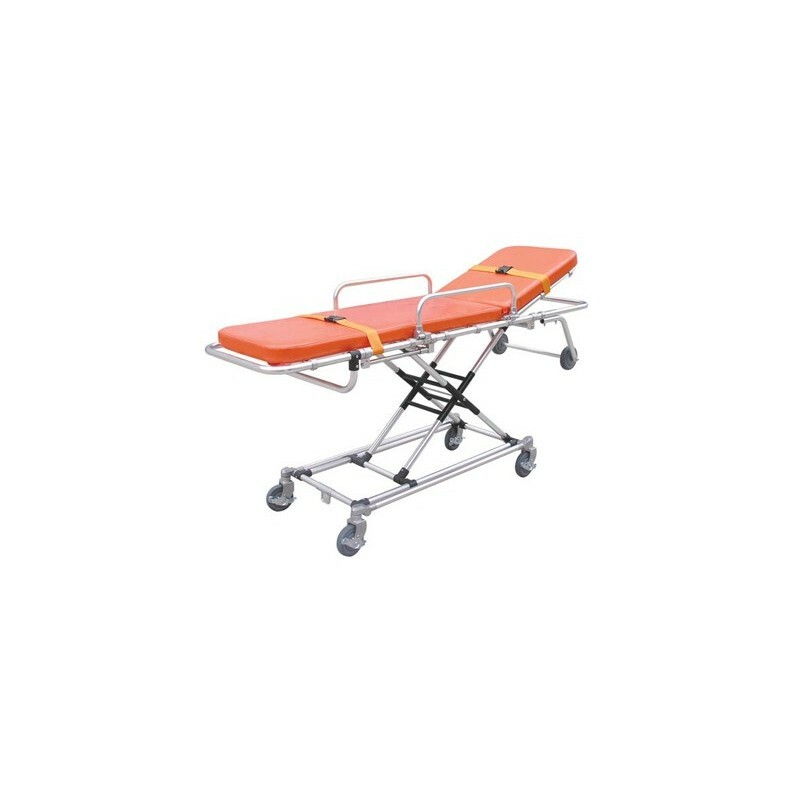 The stretcher includes a thick foam cushion mattress pad and has an adjustable back that helps the patient feel comfortable when transporting. Comes equipped with security locks that must be used when transporting a patient.